Marble cleaning experts based in London, UK. We have various systems that we use for Terrazzo floor cleaning and for natural stone surfaces that are scratched, dull, or badly worn. The process for Ter­raz­zo clean­ing entails a wet pol­ish­ing sys­tem that leaves a clean smooth sur­face cre­at­ing no dust. This fresh sur­face will enable the stone to be prop­er­ly pol­ished to the client’s spec­i­fi­ca­tions, allow­ing the nat­ur­al lus­ter and col­or of the stone/marble/granite/ter­raz­zo to shine through. Depend­ing on the con­di­tion of the stone sur­face and the type of fin­ish the client requests, the ser­vice tech­ni­cians deter­mine what process to use. Mar­ble Ren­o­va­tion use cut­ting edge tech­nol­o­gy to pol­ish Ter­raz­zo which is man­u­fac­tured by our inter­na­tion­al affil­i­ates HTC-Swe­den and refined sys­tems designed by our­selves to achieve unri­valed and out­stand­ing results in the mar­ble clean­ing indus­try. 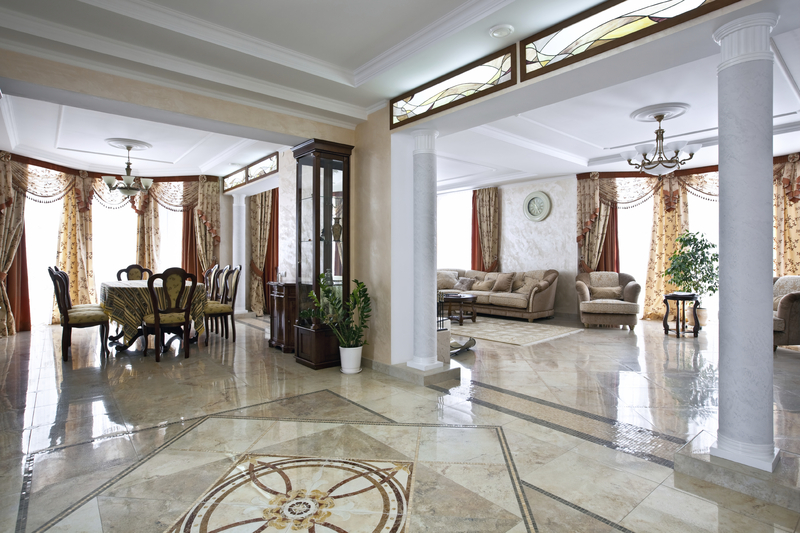 With our spe­cial­ist skills we believe that we can only add strength to your clean­ing and main­te­nance oper­a­tions which will give you peace of mind with regard to han­dling marble/granite/terrazzo/stone mate­ri­als, while at the same time giv­ing your clients fur­ther con­fi­dence in your estab­lished rela­tion­ship.